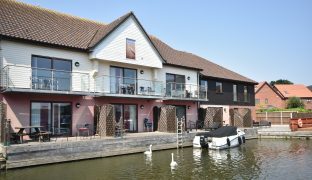 A stunning, immaculately presented waterside holiday property with a private mooring, offering 3 double bedrooms with 3 en-suite facilities and a private mooring. 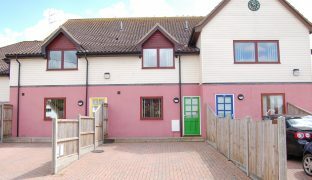 Well established holiday let generating approx £25,000 per annum. 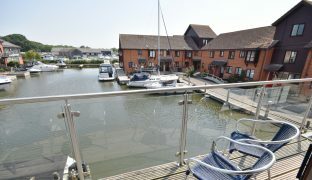 A stunning, immaculately presented waterside holiday property with a private mooring. 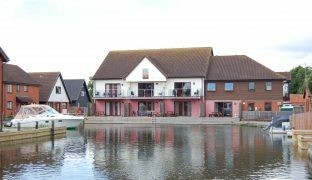 Offering spacious family accommodation including three double bedrooms and three en-suite shower/bathrooms, located in a highly regarded marina, just off the River Bure in one of the most sought after locations on the Norfolk Broads. 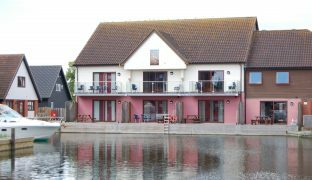 The accommodation comprises an entrance hall, spacious first floor, open plan living room/ dining room/kitchen with built in appliances and a balcony looking out over the marina. Three double bedrooms all offering en-suite facilities and a cloakroom. The cottage was completed to a high standard in 2010 and has been run as a successful holiday let ever since, generating a gross annual income in the region of £25,000. Features include sealed unit double glazing, night storage heating, off road parking and a private mooring. Contents are available by separate negotiation. Night storage heater, staircase to first floor, two built in storage cupboards. Window to front aspect, wall mounted panel heater, inset down lighters, panelled door. Low level w/c, wash basin, large shower cubicle, heated towel rail, wall mounted heater, extractor fan, tiled walls, panelled door. Sliding patio doors to rear with views out over the marina. Inset down lighters, wall mounted heater and night storage heater, laminate wooden floor, panelled door. Corner bath, separate shower cubicle, low level w/c, wash basin, extractor fan, wall mounted heater, heated towel rail, tiled walls, panelled door. Low level w/c, wash basin, heated towel rail, extractor fan, panelled door. 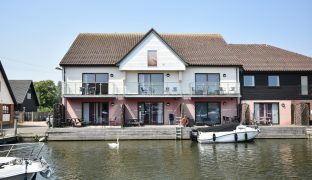 Spacious family friendly reception room with sliding patio doors leading out onto a balcony looking out over the marina, TV point, laminate wooden floor and a night storage heater. Full range of wall and floor mounted storage cupboards. 1½ sink unit and drainer, built in oven, hob, extractor fan and microwave plus built in fridge freezer. Window to front aspect with views out towards the rear. Wall mounted heater, loft access, panelled door. Low level w/c, wash basin, large shower cubicle, fully tiled walls, wall mounted heater, heated towel rail, extractor fan, panelled door. To the front of the property is a brick weave driveway providing private parking for several cars. To the rear is a decked sun terrace with outside lighting. The quay headed side on mooring is approximately 16ft long. Can be used all year round, but not as a sole/main residence.